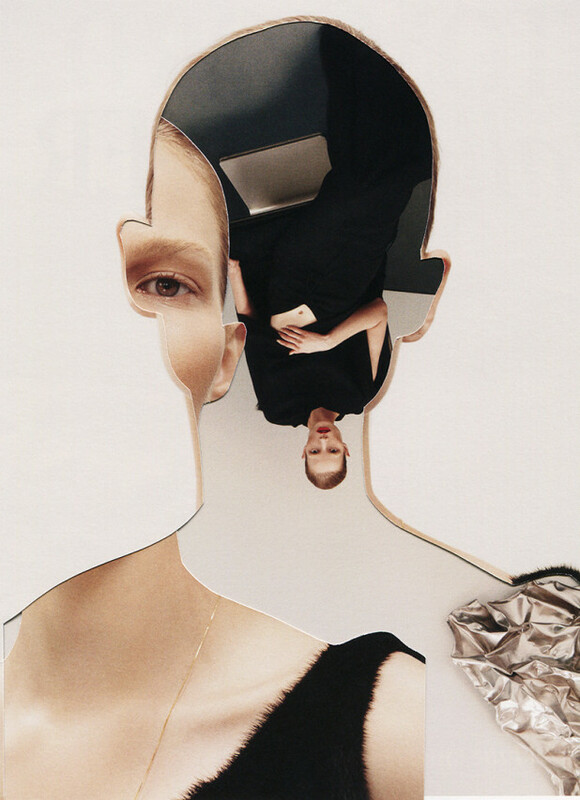 Fine art and haute couture exist in a beautiful symbiosis, and Spanish artist Pablo Thecuadro blurs the line between the two by creating collages out of contemporary fashion editorials. Knife in hand both digitally and physically, Thecuadro traces the contours in existing photographs. He often leaves behind a thin frame as a graphic vector, and the resulting images are both delicately composed and visually striking.